Battery complies with Aviation TSO-C142. Other Notes: includes 7 year warranty, adult electrode pads, aviation battery, quick start tool kit, and data cable. 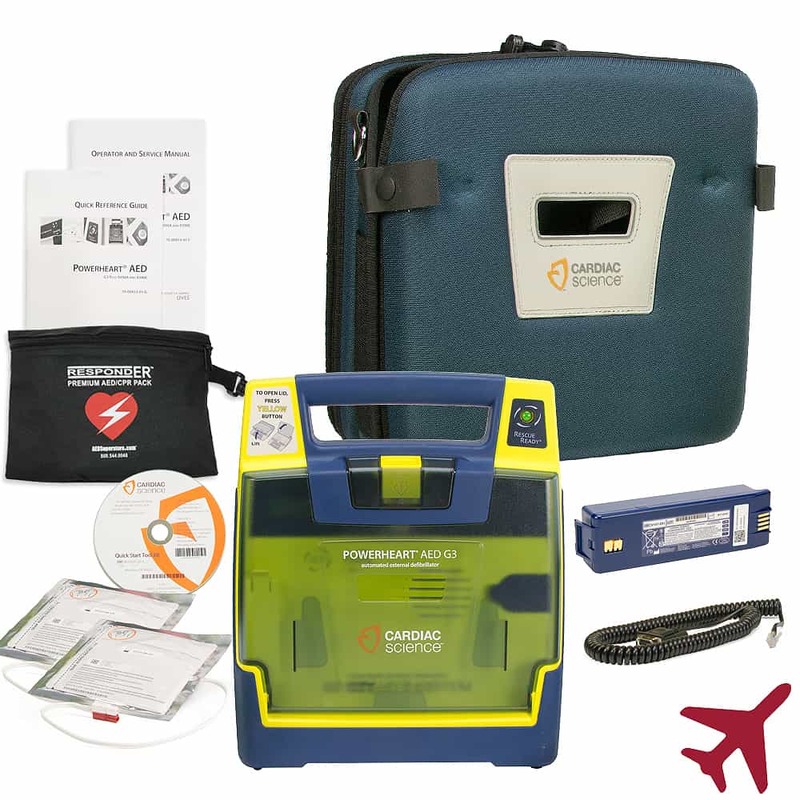 Available in both automatic and semi-automatic models, the Cardiac Science PowerHeart G3 Plus AED is ideal for lay rescuers to use in public access defibrillation areas. Two identical, non-polarized electrode pads can be placed at either location on the victim’s chest.